Meat filled crisp dough parcels are popular all over the world. These may look deceptively plain or as elaborate as a Victorian dress. 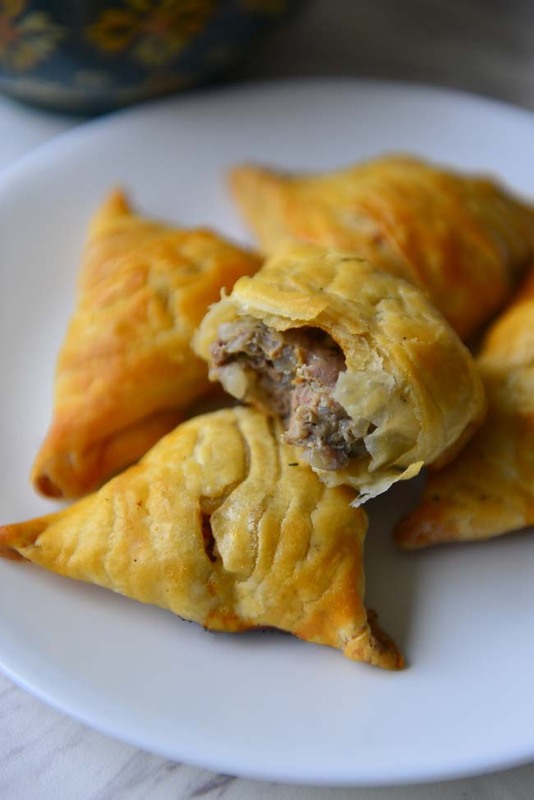 Call them empanada or sambusa or samosa or meat pie or fried dumplings or samsa , one bite and it becomes abundantly clear why they are so popular. 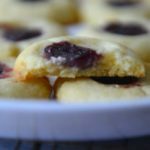 These are filling , delicious and perfect as a an on the go snack. No matter what shape they come in , one thing you can be sure of – they all taste delicious ! Samsas are meat filled baked bites that are popular in Central Asia. Uzbek Samsa, the one pictured here, is usually made with lamb. 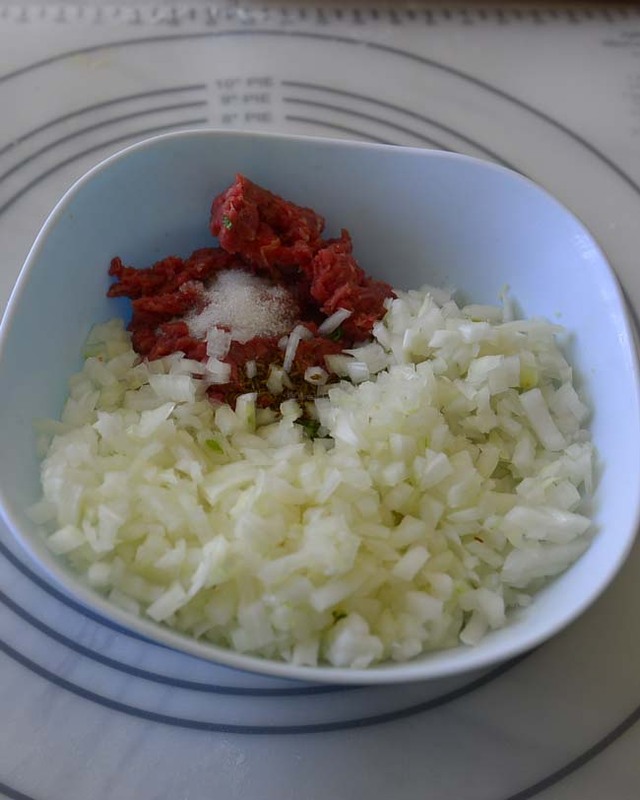 The filling is ground lamb with generous amount of fat , onions, and a dash of spices. 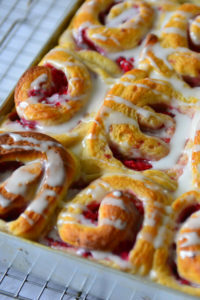 It is encased in a flaky dough wrapping that resembles puff pastry but not quite. This here is definitely not diet food. These are distantly related to the Indian Samosa. We love samosa , the potato filled, dough covered , deep fried triangles of awesomeness that are best when made by Punjabi friends. It is always finger linking good, but I digress. 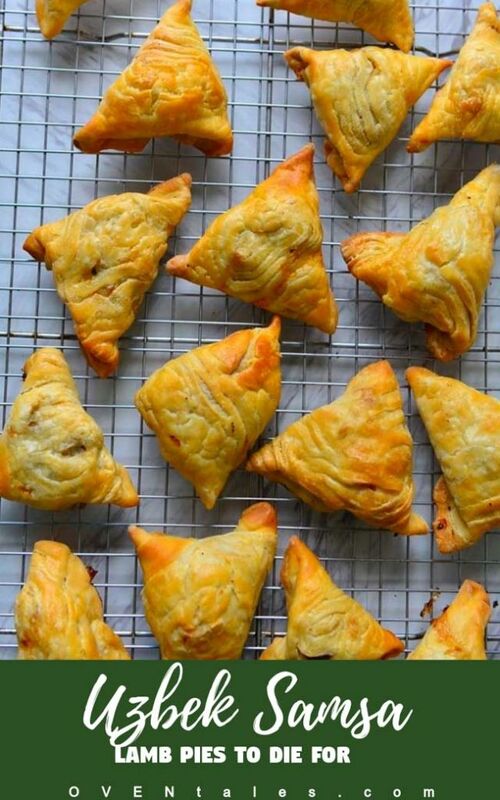 Unlike samosa, samsas are baked. Traditionally these are baked in a barrel oven called tandyr ( tandoor of the Indian sub continent). The baking surface of these oven are the inside walls of the barrel. You either stick food to the wall or insert food into a metal skewer and introduce to the oven to bake at high temperatures. This here is the cross section of the samsa dough. 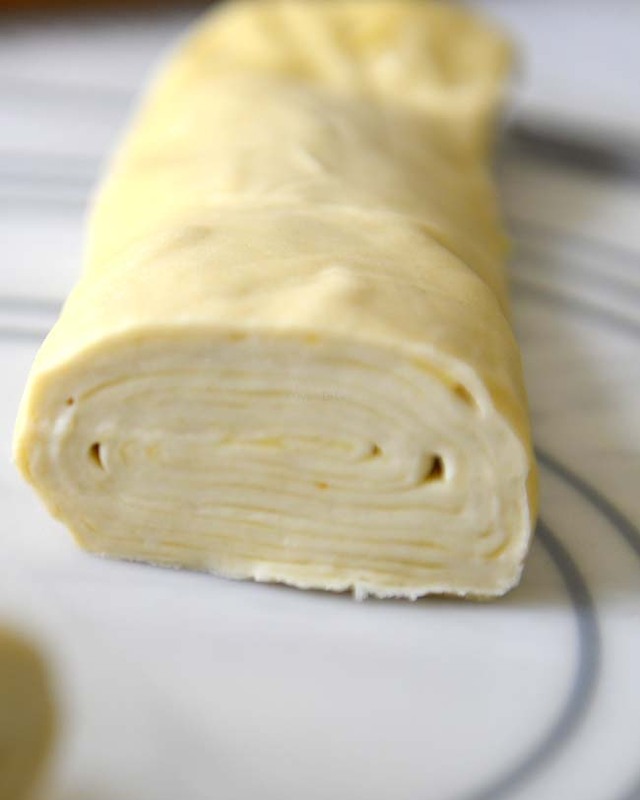 The layers are thicker and fewer than puff pastry , but it is much easier to make. 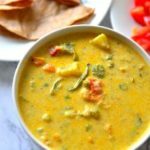 The amount of ghee used here is on the lighter side – but not by much. Making a lighter version does not mean loss of flavor though. Often times the amount of fat in a traditional dish is directly proportional to the lifestyle needs of the region. I am in a warmer climate and not training for triathlons … so I do not need as many calories in my diet. This may not be the most authentic samsa you get out there on a street corner in Uzbekistan , but it is darn delicious ! When rolled out this pastry shows the distinct layers. The layers in this case are meant to overlap a bit like the Lachha paratta . When cooked these separate a little but do not puff up like the puff pastry sheets. Check out the video for more details on shaping. 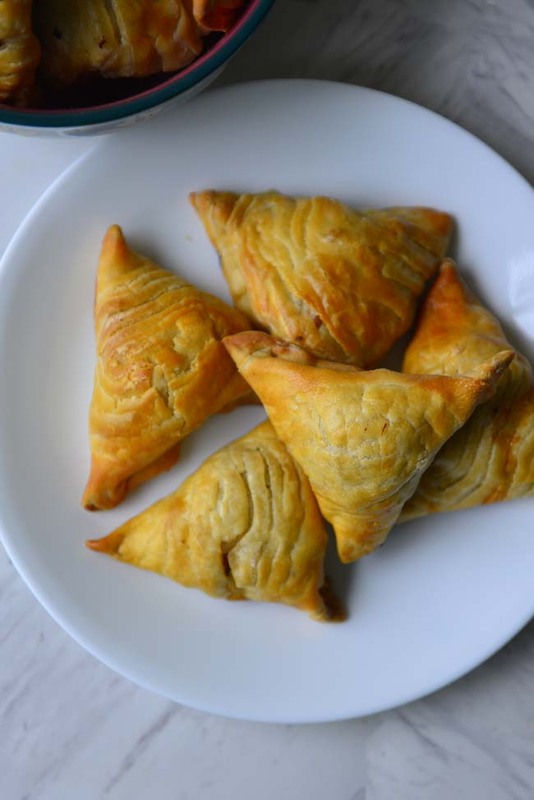 I am not very good with making samosas , partially because my triangles have a tendency to develop ears. Bunny ears in samosas, are not fun to eat at all. 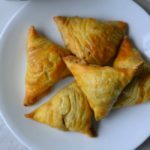 Samsa is not fried and the dough after baking becomes flaky and crispy. In fact you could just bake the circles in the picture above as it is and serve as a delicious bread. As it bakes layers separate giving the samsa a distinct flaky look. From what I understand the traditional recipes have a meat and onion filling flavored with cumin. I loved this part but there are two other flavors that I love with lamb – mint and garlic . So these two went into the filling as well. For a more authentic version leave these out. I usually do not find ground lamb in the butcher shop here . So I grind my own – do not use very lean cuts. Leave the fat in – trim a little if you must , but definitely do not make it extra lean. The fat keeps it moist and adds more flavor to the filling. There are a lot of onions in this recipe , in fact it will look like there is more onion than lamb. The filling is mixed together and cooked inside the pastry shell. The filling is raw and gets cooked fully in the oven. All that onion keeps the lamb moist and delicious and ensures that the filling does not dry out. Brush the samsas with a light egg wash before placing in the oven. You could sprinkle sesame seeds or onion seeds on top, but I like to have visible flaky layers. Lamb is by no means my favorite meat – but loved this. 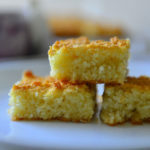 The pastry crust is flaky and crunchy and the filling moist and delicious without making the crust soggy. So here is the recipe to make these lovely uzbek samsas . A delicious meat pie made with minced lamb and onions. The crust is flaky and crunchy while the meat filling is moist and delicious. Heat the water to warm. Mix the flour and salt together. Add the ghee and knead using warm water (stand mixer about 4 to 5 minutes). The dough should be soft and very pliable. Form into a ball, cover and set aside to rest for 20 minutes to 1 hour. Divide the dough into at least 3 equal portions . Lightly dust a work surface and roll out one portion of the dough into a thin rectangle (2 to 3 mm thickness) . Generously spread some ghee all over the rectangle with a spoon orr pastry brush . Roll out the next portion of dough into a similar rectangle . Place it on top of the first rectangle. Brush liberally with ghee and repeat the process with the remaining portion(s). Roll the stacked rectangle starting at the longer edge to form a log. 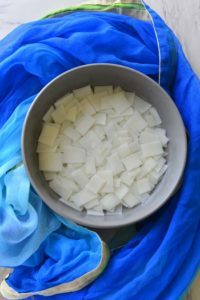 Wrap the log in a plastic wrap or parchment and chill for at least 30 minutes. Finely chop the onions. Take 3 to 4 cups of chopped onions and add to the minced lamb. Add all the remaining ingredients for the filling . Mix everything together until uniform. Remove dough from the fridge. Slice into about 18 to 20 equal pieces. Liberally flour the work surface. Take each dough disc and flatten it using your palm (or a thin rolling pin) to a circle of about 4 inch diameter. The edges should be thinner than the center. Divide the filling into as many equal portions as the dough discs. Place one portion in the center of a disc. Imagine a triangle around the filling . Pick up two side of the imaginary triangle and start pinching them close to the center. Pick up the third side and close all sides by pinching. All three sides should meet at the center.. (see video ). Pre heat the oven to 375°F (190°C) with the oven rack in the center. Line a baking tray with parchment paper or coat with oil . Place the samsas on the tray with the seam sides facing down . Beat the egg with 1 tsp water to make the egg wash . Brush the tops of the samsas with the egg wash .
Bake for about 30 minutes or until the tops are golden brown . Transfer to a cooling rack . Serve warm . Divide the dough into more portions to get more layers .Roll out the dough as thin as possible . 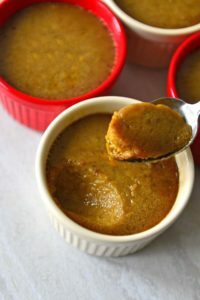 If the ghee is solid , warm it lightly so that it is spreadable and not warm/bot. When rolling the discs stop and return to the fridge if the ghee starts to ooze out of the layers. 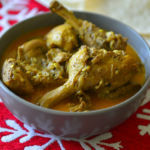 Leave out the mint and garlic and add a pinch of coriander for more authentic taste. Beef is a good substitute for lamb here. 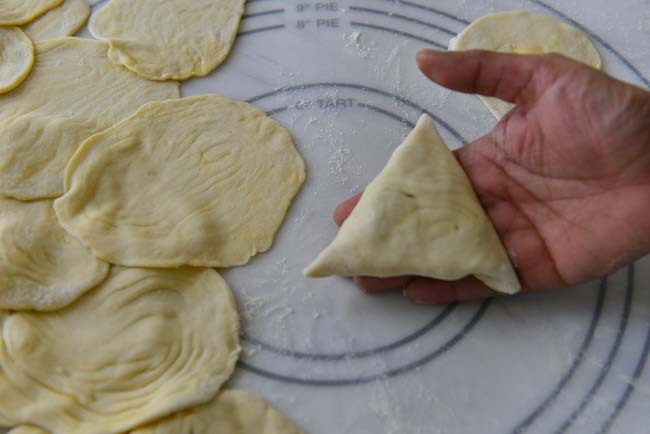 Watch the video to see how to shape the triangle samsa . Check out this article from central Asia travel on Uzbek Samsa.